These macrame plant hanger patterns have come a long way from the 1970’s, using simple macrame knots along with modern materials to create a stylish home for indoor or outdoor plants. 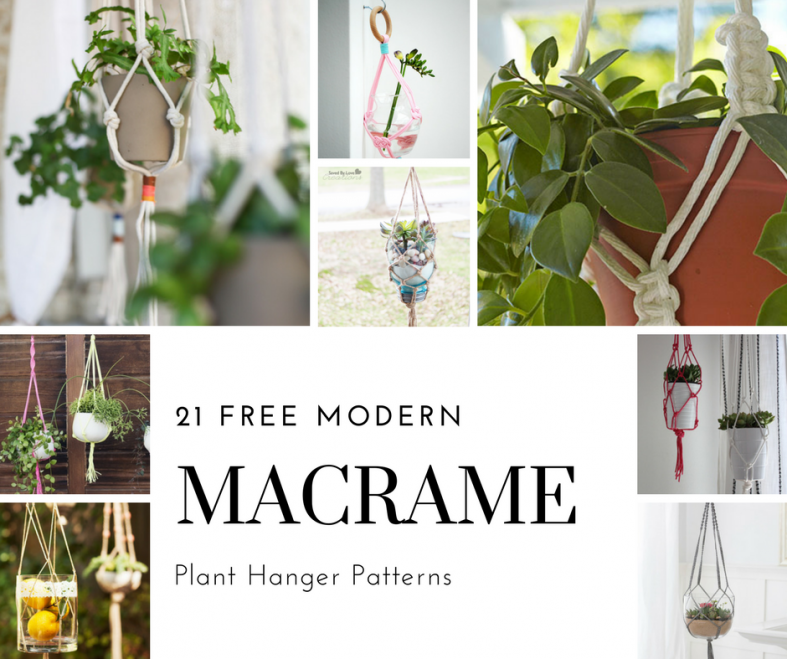 Almost all of these macrame hanging plant holders are beginner friendly. Some use a variety of easy-to-learn macrame knots while others use only a simple overhand knot to create an understated hanger. 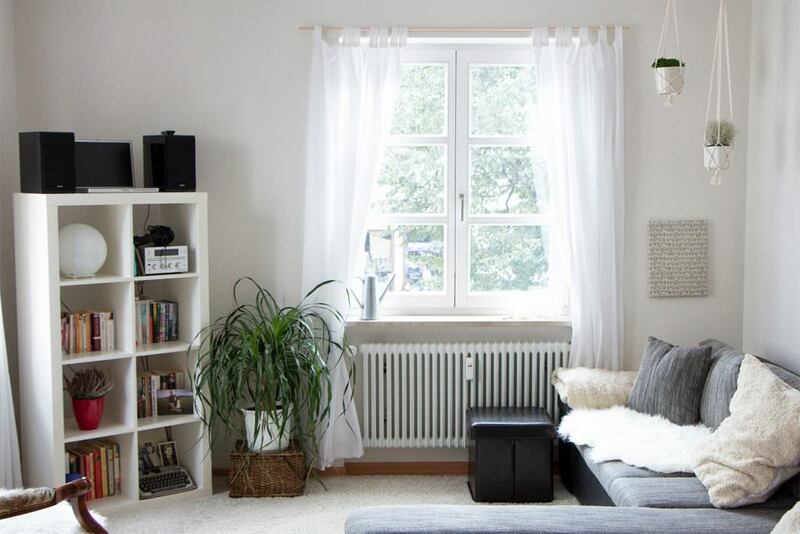 These DIY macrame hangers will add a touch of modern and vintage to your home and you can’t lose with these – they look great, take less than an hour to create, and they’re a very affordable DIY project that will fit into any budget. 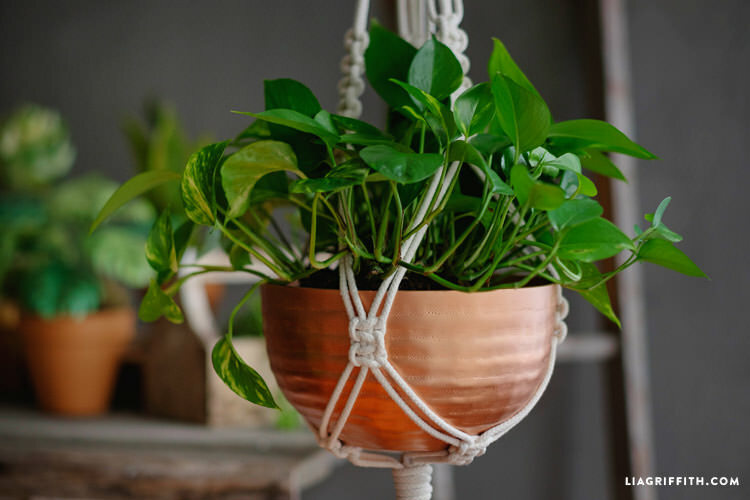 Lia Griffith has designed a free macrame plant hanger tutorial that makes a beautifully braided holder for any houseplant or outdoor plant. 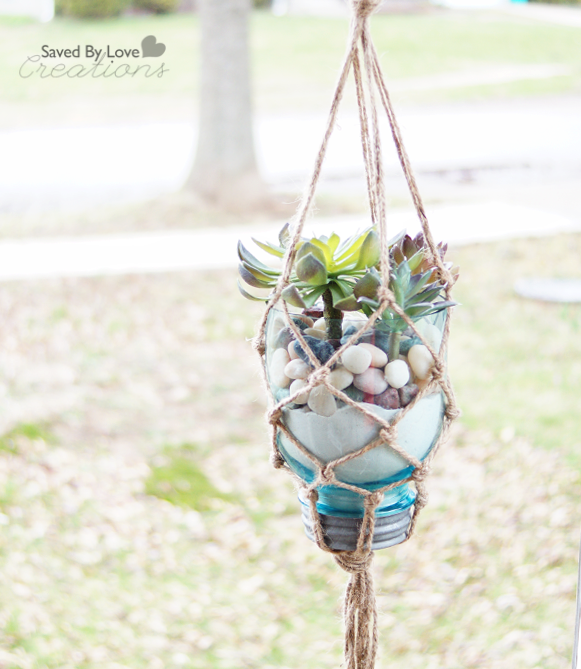 This plant holder is made using 6 strands of cotton clothesline rope and a metal ring. It uses just one type of knot, the square knot, to create it, making this a great beginner project. Deuce Cities Henhouse has designed this DIY modern macrame plant hanger that she made using black paracord and natural colored wooden beads. Believe it or not, this stunning plant hanger only took her 1-hour to make from start to finish and only uses basic everyday knots. Lowe’s has a free pattern for a macrame plant hanger that uses clothesline and a metal ring that uses individual and grouped square knots to create these beautiful braids that you see. This tutorial includes written directions, color photos, and even a video to help you make one too. This free macrame plant hanger pattern from Chi Chi Dee Handmade uses yarn and a wooden ring to create a simple macrame plant hanger that will look great in any room in your home. 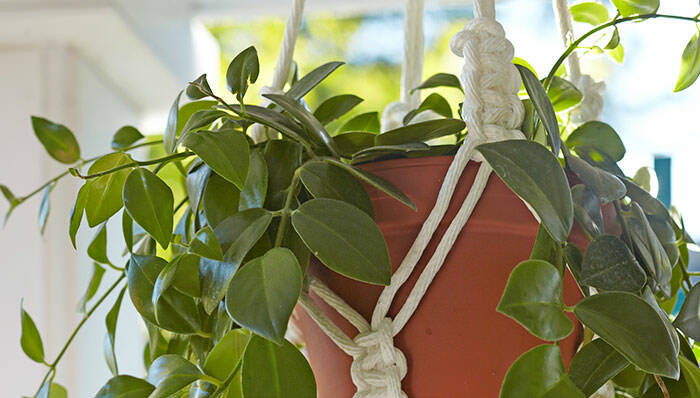 This pattern only uses basic knots to create a net for the plant so it’s a great project for beginners. Chicks Who Give a Hoot has a DIY macrame plant hanger pattern that uses just jute twine and some simple knots to create a nice cozy place for your plant to hang. The trickiest part of this is creating the net for the plant but their step-by-step knotting instructions makes it easy. Here’s a unique tutorial for creating macrame plant hangers that not only shows you how to do it, but it walks you through creating one that uses the styles of macrame that you like. 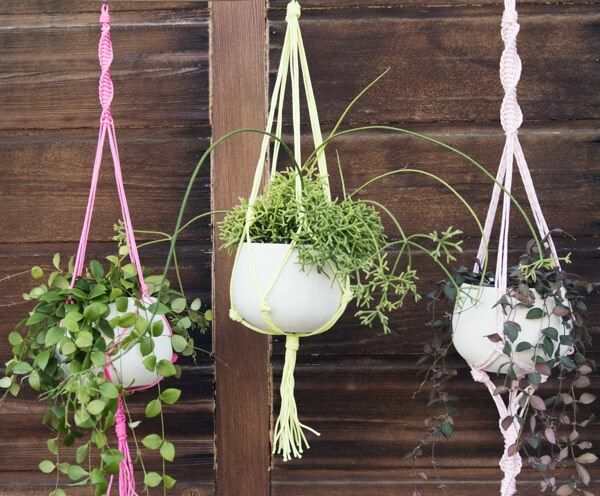 Live Seasoned uses hemp, jute, cord rope, and even fabric strips to create these lovely plant hangers. 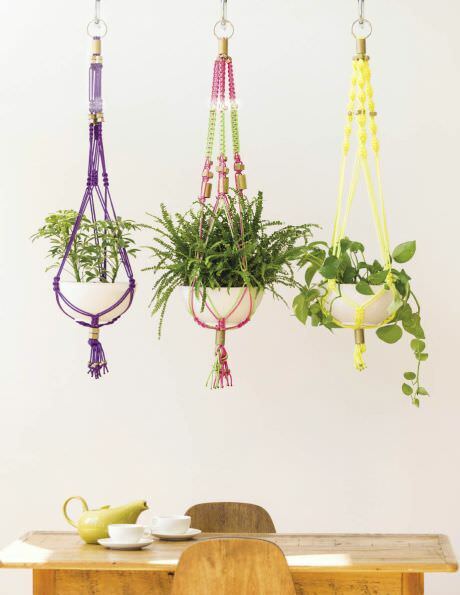 This group of colorful macrame plant hangers are made using nylon cord, o-rings, hex nuts, and PVC pipe couplings. The cord has been spray painted to give it a custom and fun look. I love how instead of beads hardware from the home improvement store is used to create a unique look. Hello There Home has created a simple yet one-of-a-kind macrame plant hanger pattern that uses cotton rope and is embellished at the top and bottom with embroidery thread. Simple overhand knots are used leaving the plant as the star. This macrame plant hanger pattern from Hello, Wonderful is so easy that even a kid can make it. In fact, her finished product is hung up in her kid’s room. 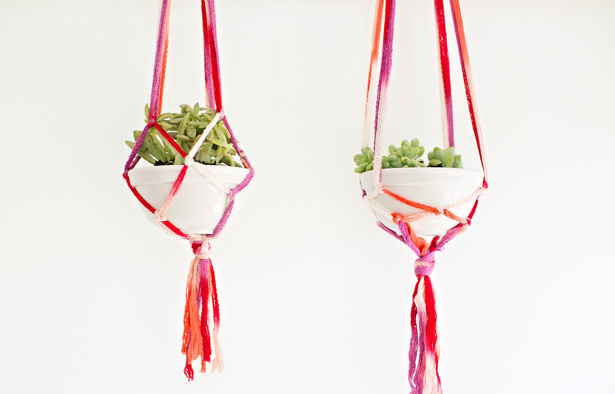 The variegated colorful yarn is used along with simple knots to create this beautiful macrame plant hangers. You can really change the look and feel of them by using different colored yarn. 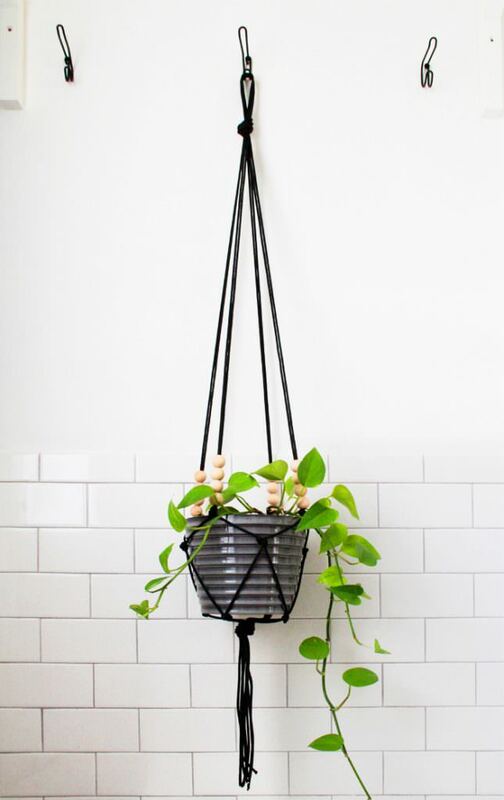 Minieco has designed this beautiful macrame hanger that can certainly be used for a plant, but here she uses it for a vase and attaches it to the wall. 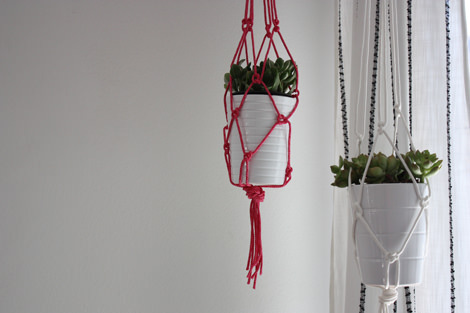 This is a straightforward DIY macrame project that uses the Josephine knot. This is a tricky one to learn but once you have it, you’ll be so glad you took the time to learn it. 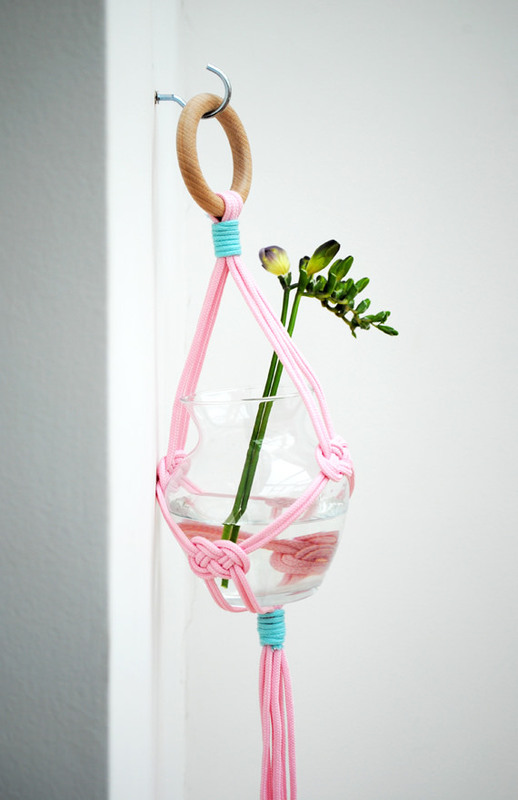 Here’s another macrame hanging vase pattern, this one from Lisa Tilse for Envato Tuts+. It holds a round vase perfectly that you can place flowers, rocks, or even fish in. Nylon cord is used here, she uses a thin roman shade cord to create several types of intricate knots. 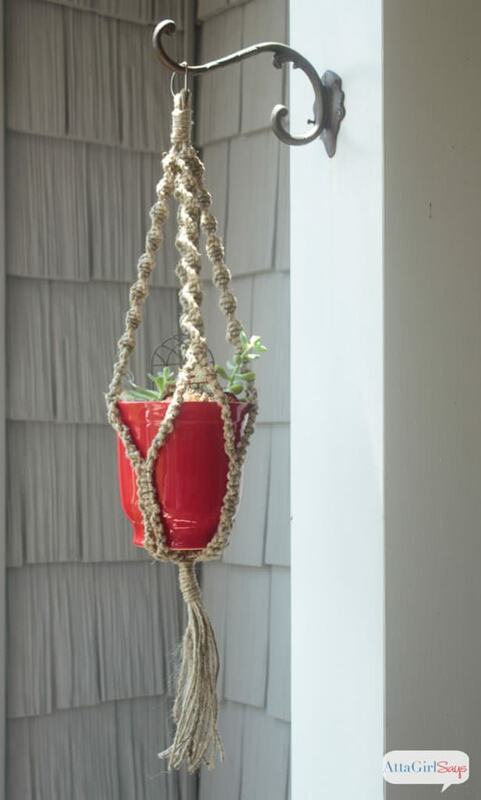 Using just jute twine and a D ring, you can create this beautiful macrame plant hanger that looks so natural it will fit perfectly right out on your front or back porch. Several different knots are used in this hanger but they are all basic knots that are fairly easy to learn. 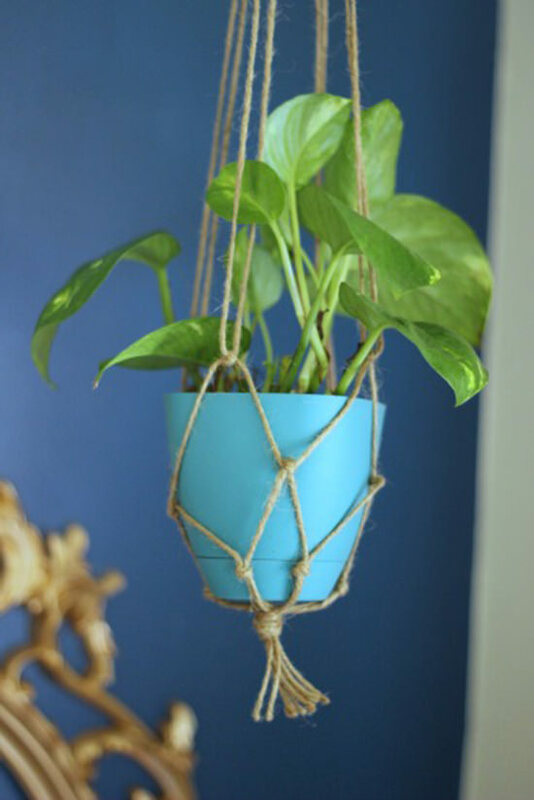 Element has a great macrame hanging plant holder tutorial that uses colorful cotton rope a plant simply planted into a white ceramic bowl. This tutorial only uses the overhand knot but you certainly could add more knots to make it more decorative. 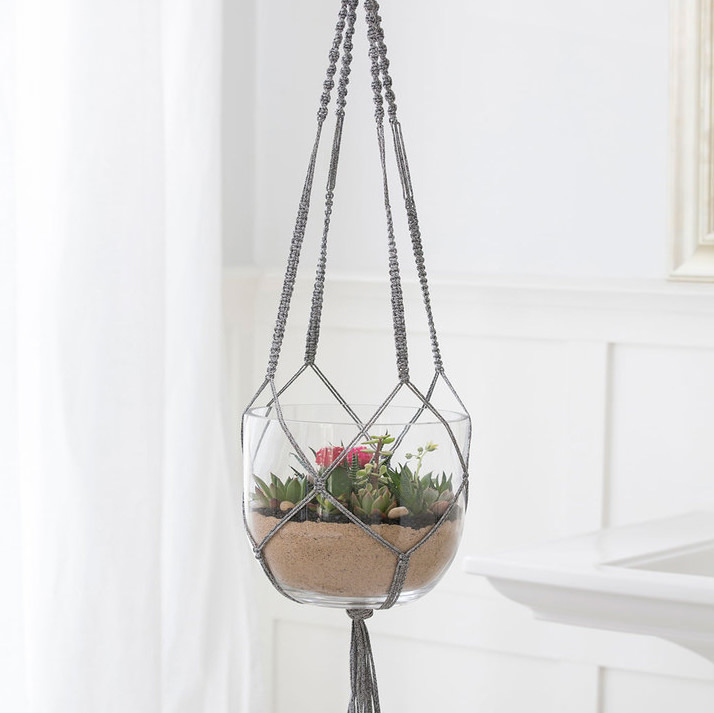 Red Heart yarn has a free macrame planter hanger tutorial that uses their corded yarn to create this intricate yet modern hanging plant holder. 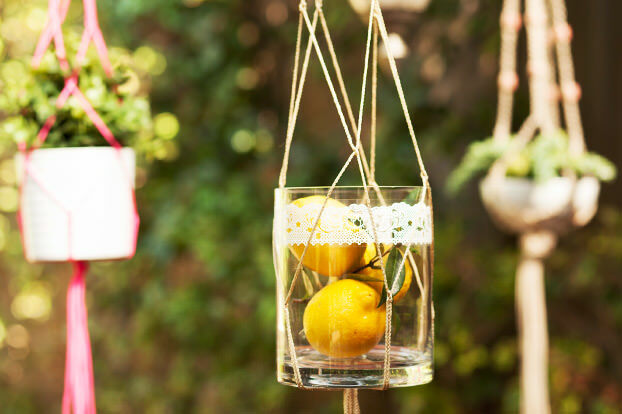 This adorable macrame holder is made to hold a mason jar instead of a pot. She’s tucked some rocks, sand, and succulents inside to make it extra cute. If you want to get this look exactly, here’s a great tutorial on how to cut a mason jar. 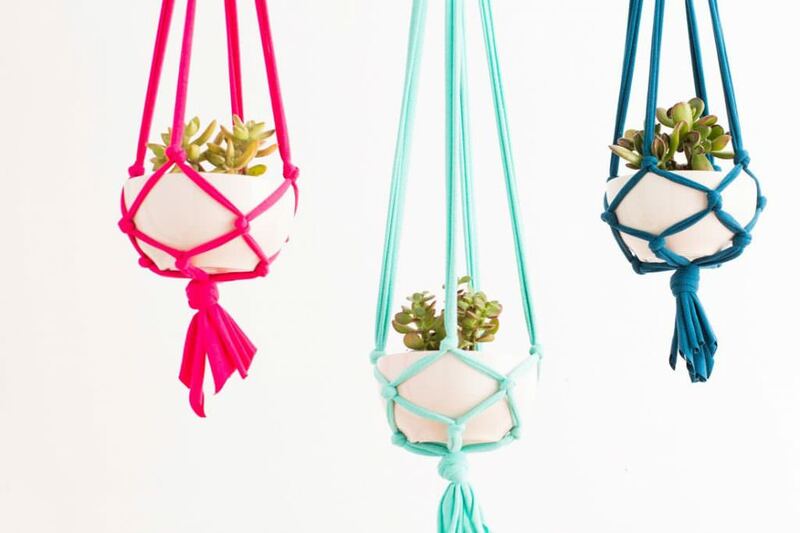 BRIT+CO has a wonderful tutorial on how to make these colorful 30-minute macrame plant hangers that use jersey knit fabric instead of cording. You can cut up some jersey fabric for this project or buy some already made t-shirt yarn. 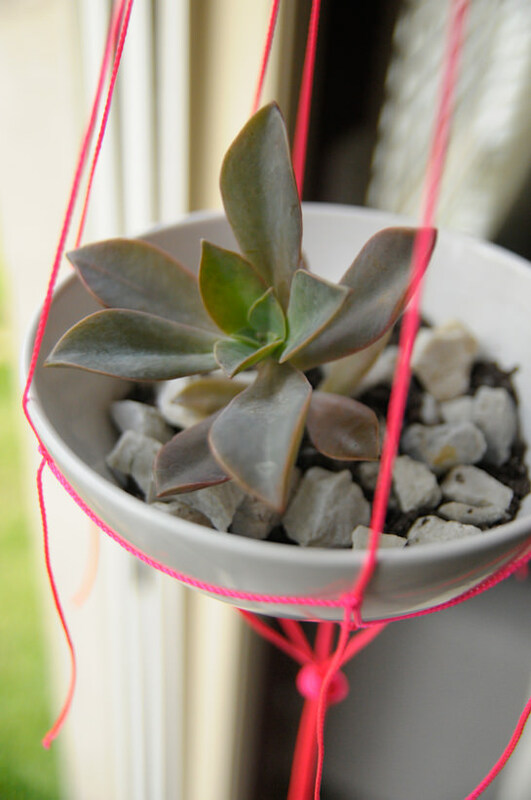 Here’s a quick tutorial for a neon macrame plant hanger project that uses bright pink paracord to really make this lovely succulent pop. It’s a simple and quick project and the hanging lines off the sides look great. 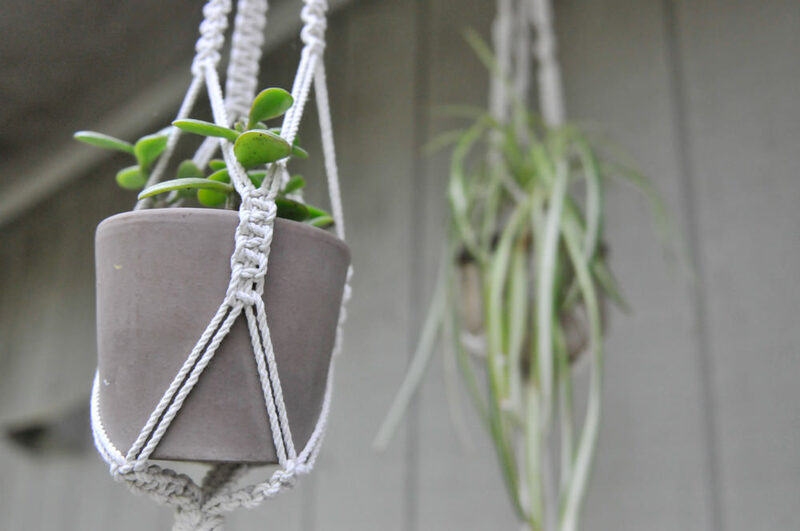 This macrame rope plant hanger tutorial uses cotton cording and changes up the number of knots to give each hanging plant a different look. I love the idea she has for using washi tape to contain the frays at the end of the rope. Very stylish! 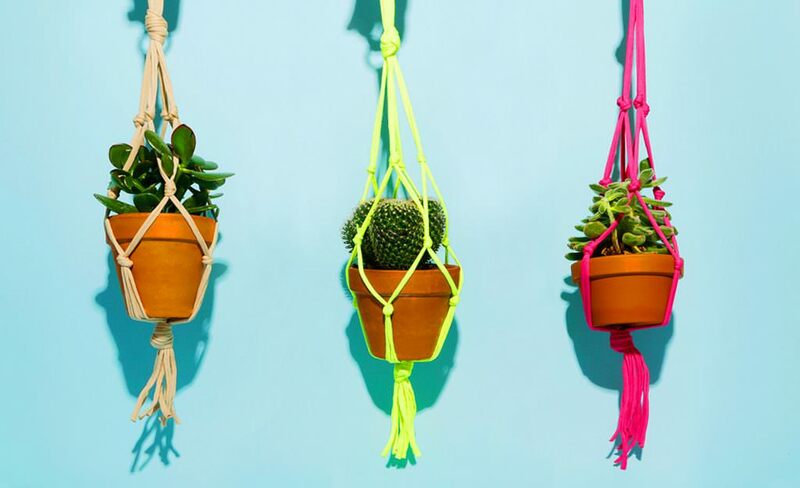 Get out some old t-shirts, cut up some jersey fabric, or use some t-shirt yarn to create this bright and beautiful macrame plant hangers. This project will go quickly using simple knots to create a basket for your plant. 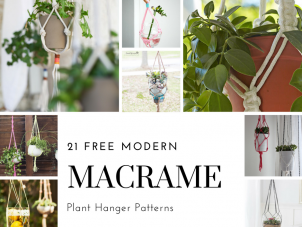 Update the macrame of the past with sleek knots in modern colors with this free macrame plant hanger pattern from The Home Magazine. I love how these macrame hangers are shown off in a variety of materials holding pots, bowls, and even vases. Here’s a simple macrame plant holder tutorial that uses two knots, a wrap knot and an overhand knot, to create. Feel free to add other knots as you make this plant holder to show off your own individual style.